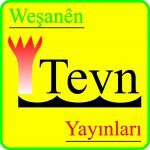 Tevn was founded in 2005 in Istanbul. The goal of its establishment was to facilitate the publication of books written in prisons and to call into question the ban on the Kurdish language. The publishing house struggled against that ban and attempted to overcome all the prohibitions. It faced difficulties from the inside as well as the outside as it pursued these efforts, but these difficulties did not stop its publication activities. It published works across different genres. When it was targeted by the courts of the state, its editors submitted their defense in the Kurdish language, the first time that had happened in court. Thus it was able to make Kurdish-language defense acceptable in the courts.